If you are a crypto aficionado, then you probably know that Europe, Asia, the North American continent, and even Africa are already experiencing a fast growth when it comes to blockchain technology adoption. However, markets in Latin America still have a lot to gain from blockchain technology, despite the massive corruption and economic instability that currently plague most of the countries within the continent. Not only this, but Latin Americans are showing a great interest towards cryptocurrencies such as Bitcoin, which accelerated the blockchain adoption as well. While some countries like Bolivia and Ecuador have initially banned cryptocurrencies, others are making valiant efforts to recognize and regulate them, while some have no plan or regulatory framework at all. In order to bypass US sanctions as well as to cut down on the skyrocketing inflation, the country’s socialist government has launched its own Petroleum-backed cryptocurrency dubbed Petro. In theory, one Petro unit is backed by one barrel of Venezuelan oil. It’s only natural that Venezuela backs its cryptocurrency with oil since it’s the country’s main resource. Even though it might come as a surprise for some, Chile is right at the forefront of blockchain adoption in Latin America. Chile has shown interest in cryptocurrencies and blockchain tech even from 2015, when the government funded and launched the first Bitcoin-pesos exchange. In 2017, the technology giant IBM partnered with the Santiago Exchange, Chile’s largest stock exchange, in order to boost the adoption of blockchain technology by the nation’s financial institutions. Earlier this year, Chile announced it would be adopting blockchain technology for its national energy grid. Even if Colombia’s stance on cryptocurrencies and blockchains was neutral in the past, the country’s government is currently showing an active interest in the technologies mentioned above. In June this year, the Colombian government held various hearings where it discussed leveraging the advantages of blockchain technology. It could be argued that the crypto and blockchain scene in Columbia is decent, especially as six public and private Colombian companies have joined forces and launched the Colombia Blockchain Association. Argentina announced that it would be making significant efforts towards regulating cryptocurrencies. Just like most Latin American countries, Argentina rushed towards the blockchain world due to both economic and political instability. Nowadays, Argentina has one of the highest numbers of crypto ATMs in South America, and cryptocurrency courses available at various universities. 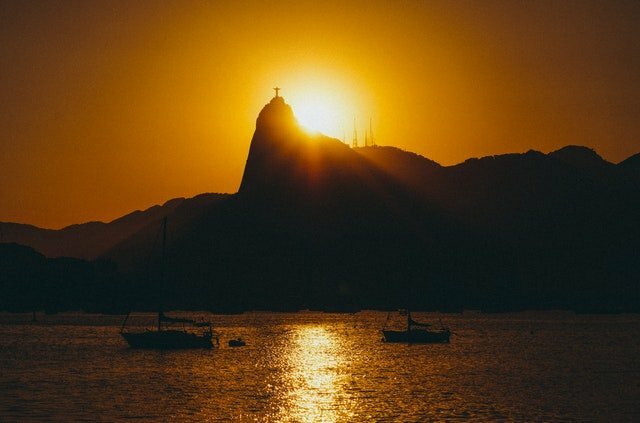 Brazil is the country with arguably the best economy in all of Latin America. According to recent events, it also appears to be the leader when it comes to cryptocurrency and blockchain adoption, both on the regulatory side and the development side of things. Interesting enough, in Brazil, more people have crypto trading accounts than traditional brokerage accounts. Just to give you an idea about just how advanced cryptocurrency is in Brazil, roughly a year ago, a crypto exchange called Foxbit had roughly 100,000 registered users. Now, it has more than 400,000. There’s a good chance that this increased interest in cryptocurrencies will eventually lead to a wide-scale adoption of blockchain technologies in the near future. Just like most other countries where the large majority of the population is unbanked, Bolivia is another country that could greatly benefit from the advantages of blockchain and cryptocurrencies. However, the situation in Bolivia is not as good as other South American countries, as it was the first country on the continent to ban cryptocurrencies back in 2014. Be that as it may, various private firms within the country have since been exploring the potential of cryptocurrencies’ underlying technology, the blockchain. One very good example of companies that are currently looking into blockchain tech is the La Paz-based Banco Ecofuturo. Ecuador banned all cryptocurrencies back in July 2014, right before issuing its own digital currency as part of a reform to the country’s monetary system. The digital currency in question (dinero electronico, or DE) is backed by the assets of the Central Bank of Ecuador. However, since Ecuadorian officials have neglected to punish defiant crypto use, Ecuadorians have not stopped using Bitcoin and other cryptos. Unfortunately, there’s no getting away from the fact that the crypto ban affected and will continue to affect Ecuador when it comes to blockchain adoption. Uruguay has just started its journey towards blockchain adoption. In November 2017, the country’s central bank presented a six-month pilot plan for the issuance and use of the digital version of the Uruguayan peso. Even though the country does not stand out regarding blockchain adoption, it appears to be making positive steps towards raising awareness of the benefits of blockchain tech. For example, Uruguay will soon hold its first edition of the Blockchain Summit on September 5th.